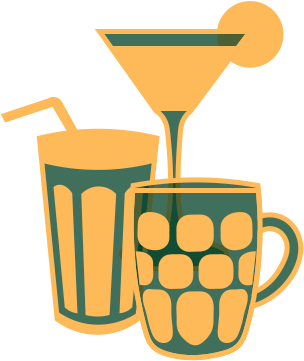 Drinks – What’s Your Poison? 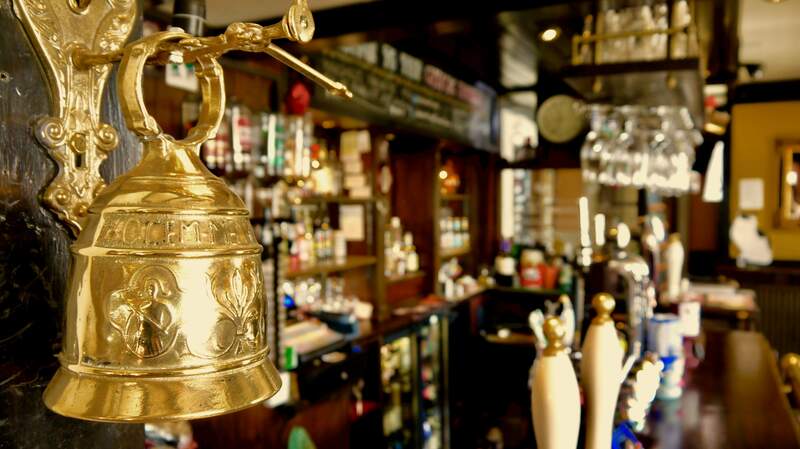 The Chemic stocks a wide variety of real ales, from our permanent Hobgoblin and Landlord taps to a rotating selection of delicious independent craft ales. We aim to always have a diverse selection of dark, amber and pale ales on draught to suit all tastes, four Guest craft taps including Punk IPA and Revisionist Stout and our fridge is kept fully stocked with premium bottled pale ales, craft cans and world beers. 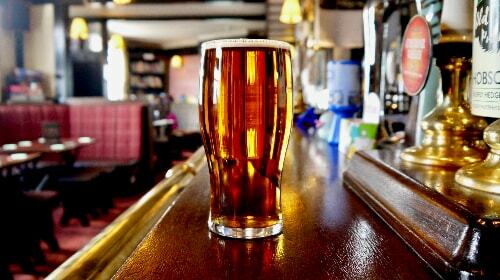 While we love our real ales here at The Chemic, we also have a healthy appreciation for lagers and beers. Regular tap selections include Carlsberg and Pravha, plus 330ml bottles of Estrella and Birra Moretti. 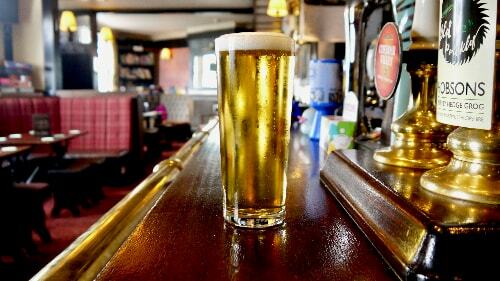 We also occasionally run interesting lager and pilsner selections on our Craft Tap too - plus a selection of vegan beers, alcoholic beers and even diabetic-friendly beers to ensure everybody can enjoy a relaxing pint to suit their needs and preferences. 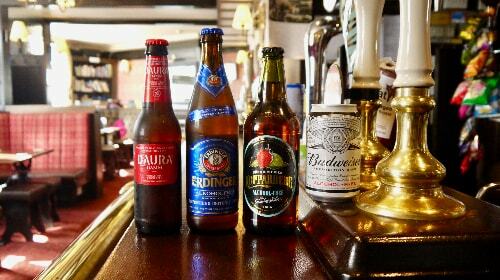 The Chemic wouldn’t be a true Yorkshire pub if we didn’t stock a selection of delicious ciders. 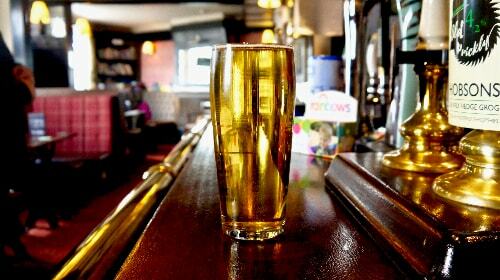 Our regular range includes a variety of dry, traditional, craft and flavoured ciders available on draught and in bottles. 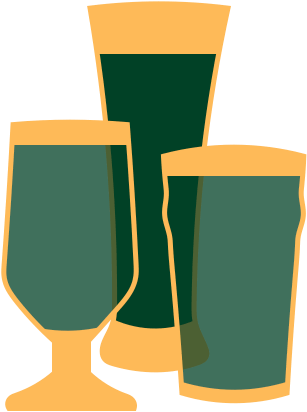 We also organise a Summer cider festival every July, featuring a wide variety of unique flavours and blends from local and international brewers. 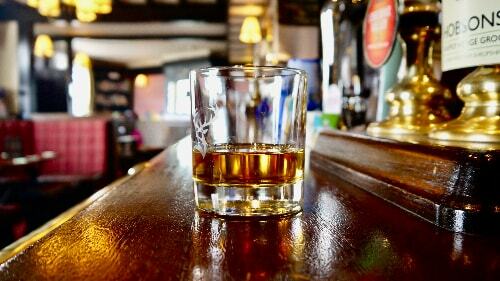 Our extensive range of spirits includes a selection of delicious Scottish and Irish whiskies, featuring classic malts and blends from world-famous brands including Jamesons, Dalmore and Bushmills. 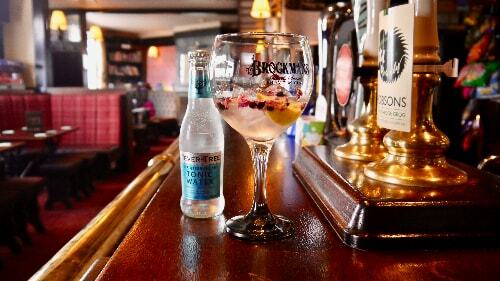 With an extensive selection of dry, fruity, local and world gins available alongside a variety of tonic waters including Britvic and premium Fever Tree, it’s little wonder that we’ve been called the premium gin bar of Woodhouse. Every summer we also host a mini Gin Festival, in which we splash out on a range of fruits, botanicals and edible flowers for you to pair with your gin at no extra cost. 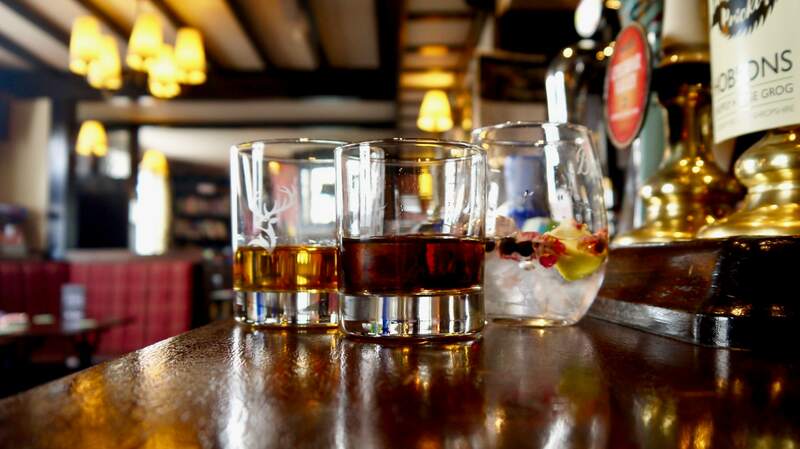 From delicious spiced Kraken to the Coconut aromas of Koko Kanu, we stock a wide variety of Caribbean and South American rums, all available with delicious mixers including ginger ale, Pepsi and premium bottled soft drinks including Fentimans, Hartridges and fruit juices. 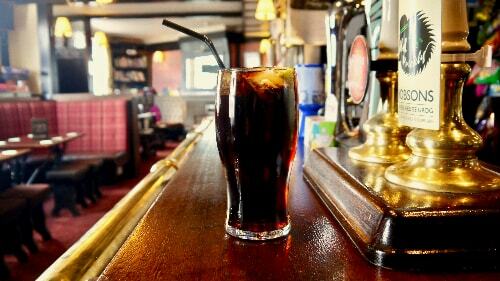 Our extensive selection of soft drinks includes Coca Cola, Lime Cordial and Lemonade on tap, plus premium bottled fruit juice and tonic water selections from leading brands including Fentimans, Hartridges and Fever Tree. While The Chemic Tavern isn’t a cocktail bar, we do run frequent special events featuring specially tailored cocktail selections for a limited time only. 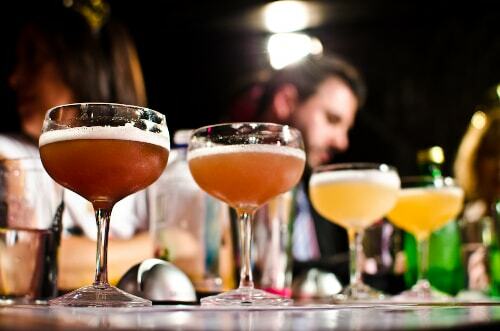 Past cocktail events have included our 1920s-style Speakeasy night, a Tiki Bar featuring mouth-watering tropical selections and even a range of Star Wars-themed cocktails to celebrate May the 4th. 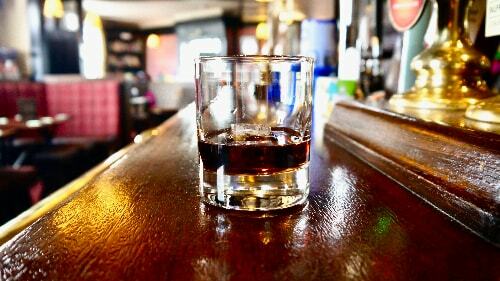 Keep an eye on our events page or follow us on Facebook to hear about all our latest cocktail evenings. Here at The Chemic, we’re committed to catering to diverse dietary requirements wherever possible. 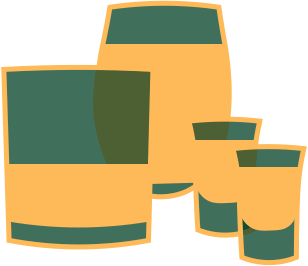 We offer a selection of vegan beers, gluten-free bottled ales and lagers, alcohol-free beers and even Diabetic-friendly beer.